From his roots in Paisley, Scotland, Calum grew up with a rich mix of blues, Americana, folk and rock music. When his classical cello training at school collided with his dad’s Jimi Hendrix records, a new and unique way to express his deep, heartfelt creativity was formed. Armed with a carbon fibre cello and genre-bending style, he began a developmental journey which took him to the New School for Jazz and Contemporary music in Manhattan and the New York music scene. Calum Ingram has supported the likes of blues rock legend Jack Bruce and also tours regularly with platinum record selling Artist Sandi Thom as part of her band. Calum Frequents back fourth from New York City and Glasgow,Scotland on his exciting musical travels. 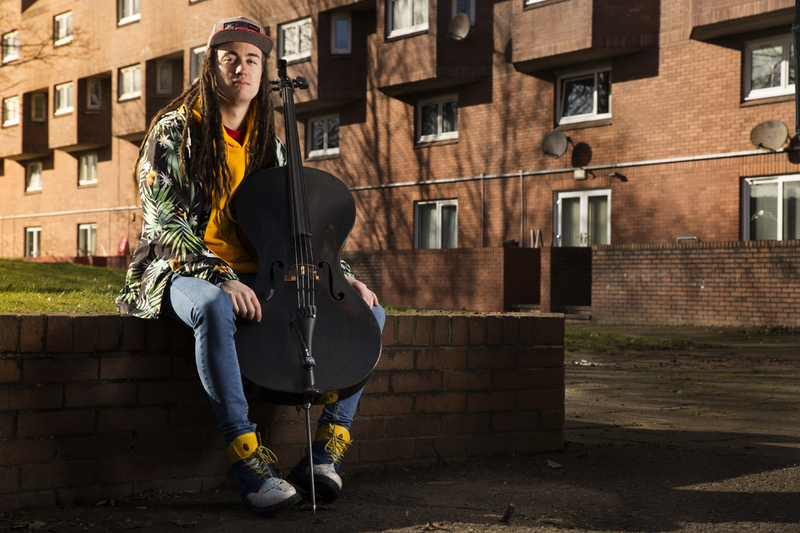 Armed with a carbon fibre and ply wood cello Calum continues to inspire people and bring together musicians of all styles and back grounds creating an exciting musical soup of sounds.